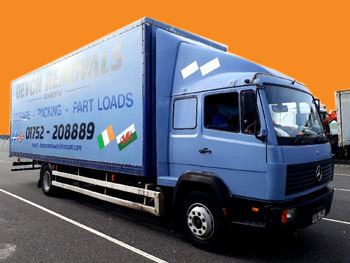 With over 36 years experience in providing a friendly, expert removals service, Devon Removals is the perfect choice for your domestic and commercial moving needs. From the moment you get in touch with us, to your move being complete, we'll be with you every step of the way. Our qualified drivers and removers use spacious 13 Tonne and 35-Hundredweight lorries, ensuring that you receive a reliable service that can be tailored to your needs. What's more, and for a small additional charge, we'll handle every aspect of your house move or commercial move for you. From just £150 for a three-bedroom house, we'll carefully pack all of your belongings. Leave your home, or office as it is, then just sit back and relax in the knowledge that Devon Removals are taking care of it. Whether you're moving house, or heading to new premises, we know your peace of mind's important. So, we'll give you a little extra. Free insurance, careful packing, secure storage and more – it's all part of the package with Devon Removals. What's more, with us, you'll pay absolutely no VAT.